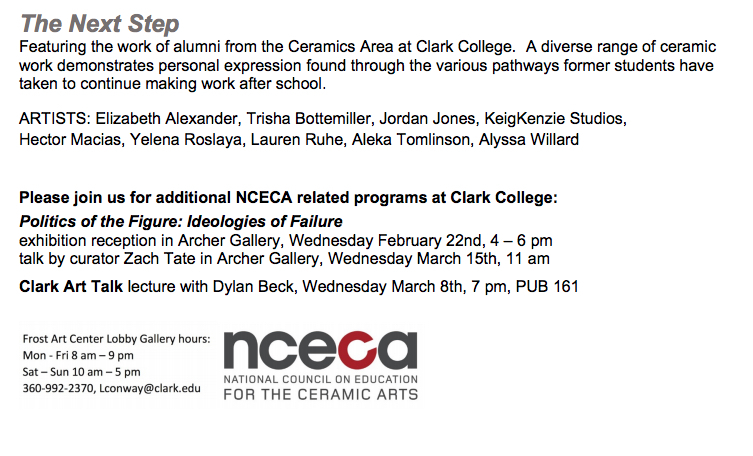 I am excited to announce that I will be participating in a show at Clark College in my hometown, Vancouver, WA! 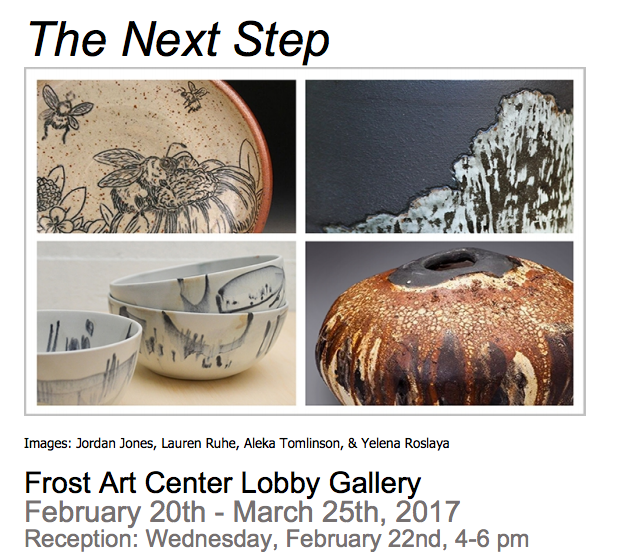 “The Next Step” will be featuring work of alumni from the Ceramics Area at Clark College, and I am thrilled to be able to return to my community college and show what I have been up to these past few years. Clark is where I really discovered my passion for clay, I am so grateful I took that beginning ceramics class years ago! This show coincides with NCECA, so if you are going to be in Portland, swing on up over the river and visit Vancouver to see this show, along with the additional NCECA related shows at Clark! 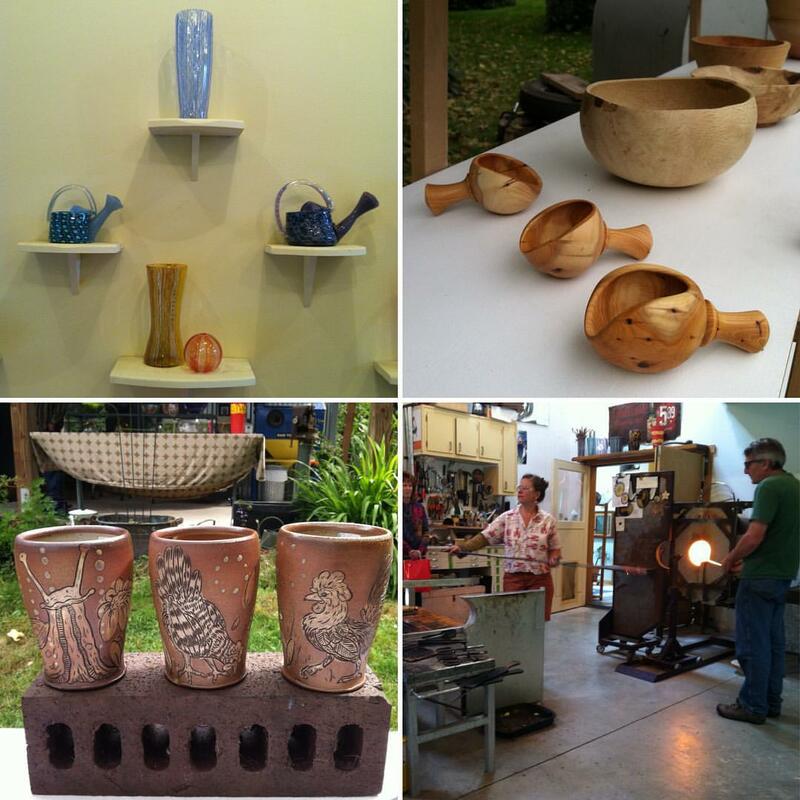 In August, I participated in the Whidbey Working Artists Summer Studio Tour! 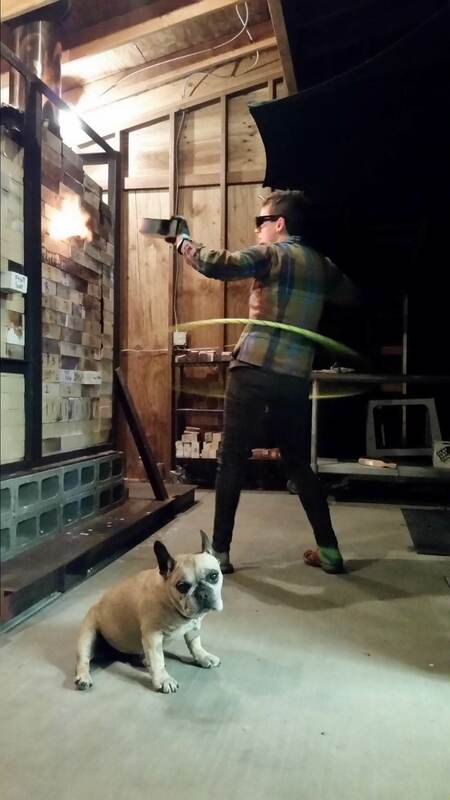 I was a guest artist at Katrina Hude‘s glass studio, along with woodturner Jim Short. It was a stellar weekend! Thank you to everyone who came out and made the studio tour such a success. Another thing that happened over the summer was becoming the new co-president of the Washington Clay Arts Association (WCA) with Brenda Lovie! It has only been a few months, but I have been thoroughly enjoying working with the board to continue to connect and support the clay artists of Washington state. The WCA has given me access to a community that is passionate as well as generous in spirit, support, and resources, and I am enthusiastic about being able to contribute back to the WCA. I’ve been pretty neglectful at updating this portion of the website, so I’m going to do some retroactive posting! I can’t believe I didn’t share that I was interviewed by Paul Blais for his podcast, The Potters Cast! If you haven’t heard of it, go check it out! It’s a super fun podcast to listen to as he interviews a wide variety of potters & ceramic artists. My episode went up back in May, and it was such a blast to be interviewed by Paul, he is fabulous to chat with. I’m honored to have had the opportunity to be a part of his podcast! Thanks Paul! 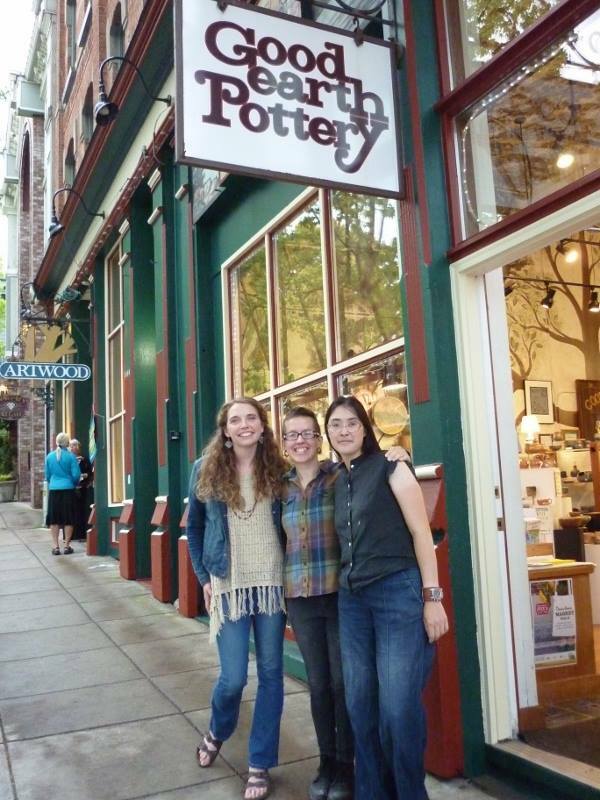 This past June, my studio and housemate Clovy Tsuchiya and I were featured artists at Good Earth Pottery! We had a great time visiting with everyone who came up for the reception. Thank you all for such a fabulous event! Wow, it sure has been a while since I’ve posted! Time is getting away from me and I have been busy making in the studio. 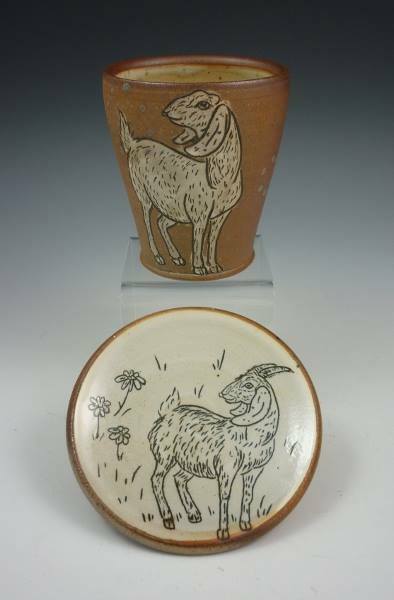 In March I had some new pots up at the Charlie Cummings Gallery! 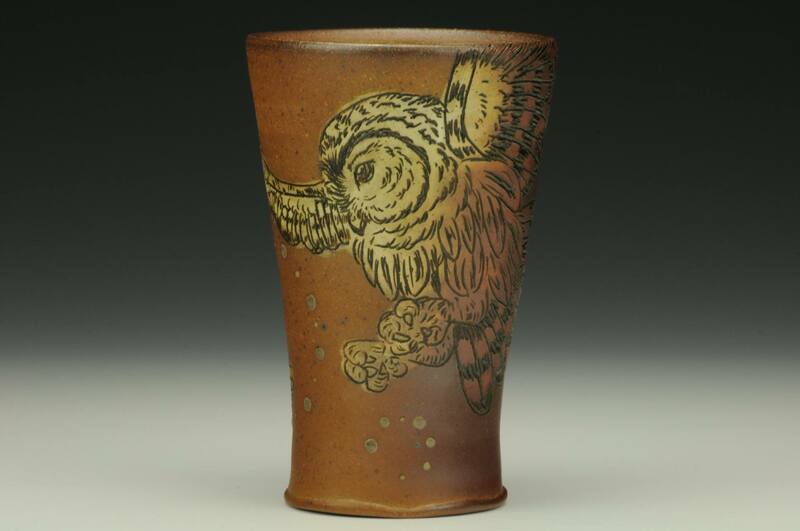 There are still some up for grabs, go take a peek, and check out all of the other incredible pots displayed on their website as well. I’ll be participating in two local shows on Whidbey in December! 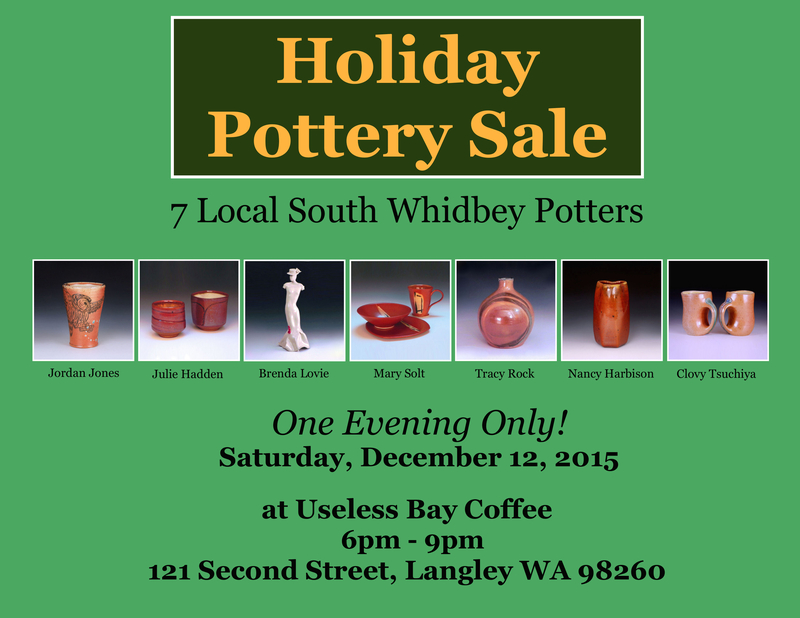 First up will be a holiday pottery sale at Useless Bay Coffee Shop in Langley, with six other potters from the island. One night only on December 12th from 6pm-9pm, it’s going to be a blast! There will be lots of lovely pots to check out that would make fabulous holiday presents. If you’re in the area I hope to see you there! 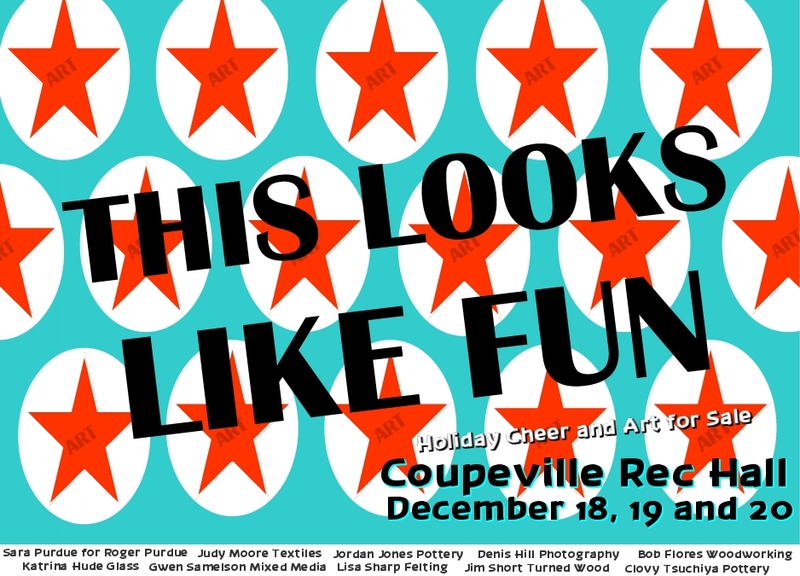 The next show is at the Coupeville Rec Hall on December 18th, 19th, and 20th. Come sip, visit and shop with a great variety of 10 artists, featuring textiles, pottery, photography, woodworking, glass, and mixed media! Friday Dec 18 – Noon to 8:00 pm, Saturday and Sunday Dec 19 & 20 – 10:00 am to 5:00 pm. 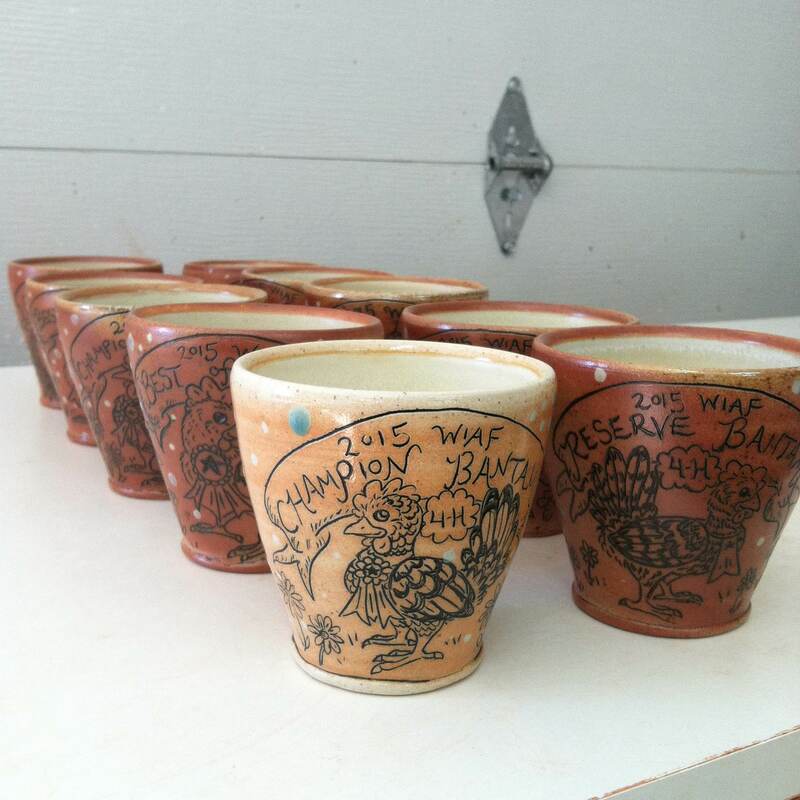 I’m thrilled to have 5 of my cups in the Charlie Cummings Gallery “Cup: The Intimate Object XI” show! There are over 1,000 cups in this show, and they are all incredible! The “sneak peek” previews are up on their Facebook, so go take a look and let it tide you over until their online show goes live on October 3rd on their website: www.charliecummingsgallery.com! I always look forward to this show every year and I am delighted that I have been able to be in it for the past couple of years. Make sure to check it out! 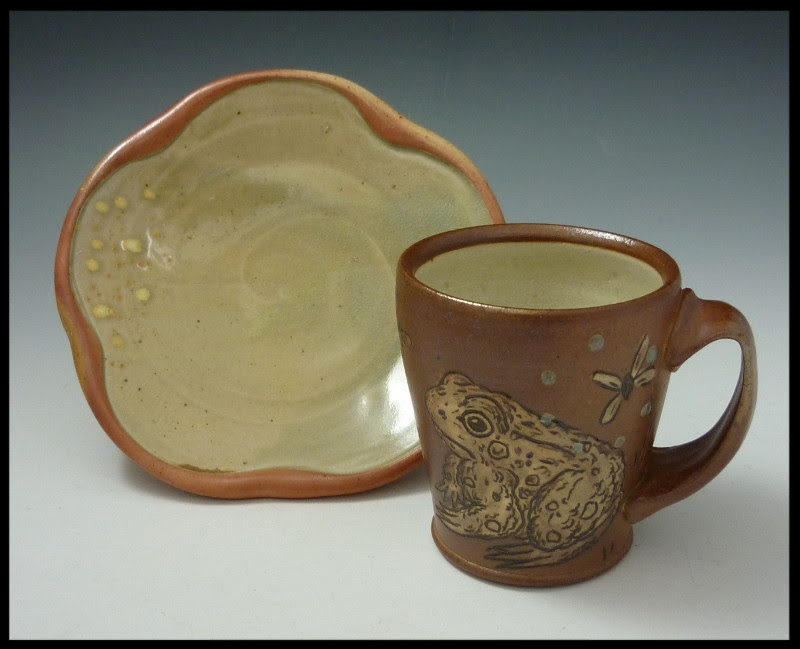 I am excited to share that I am in a new gallery- Good Earth Pottery, up in Bellingham! It was great to be able to drive up there to drop my pots off and see the gallery, there is such a wide variety of wonderful work by talented artists! If you are in the area, you should stop on in and check it out! 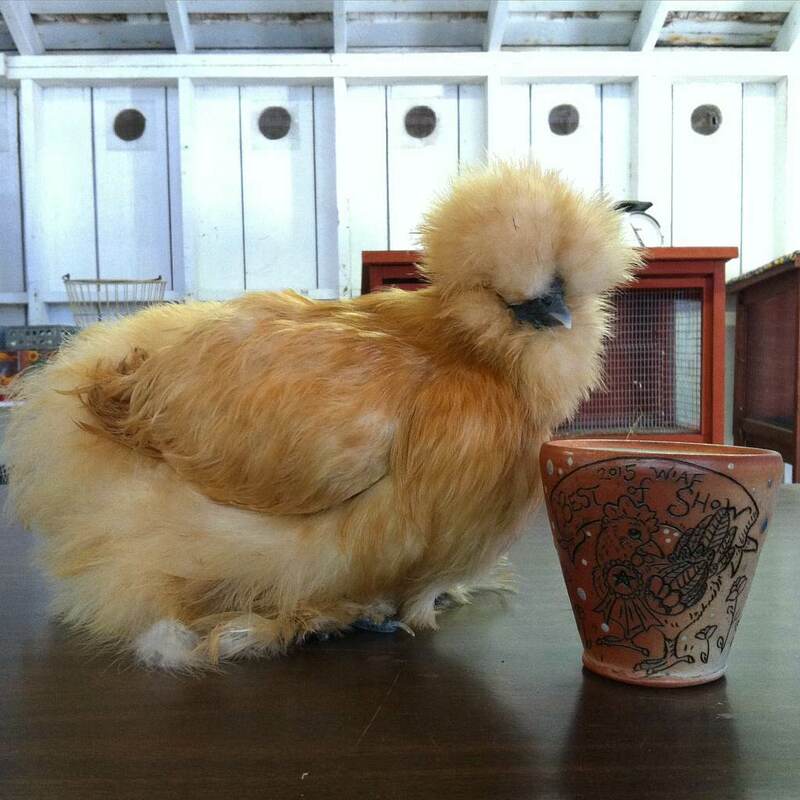 This summer I made trophies for the 4-H chickens at the Whidbey Island Area Fair (WIAF)! This was an extremely fun project. I loved adding little ribbons and flowers to each proud chicken drawing, as well as having a variety of feather patterning for each chicken. 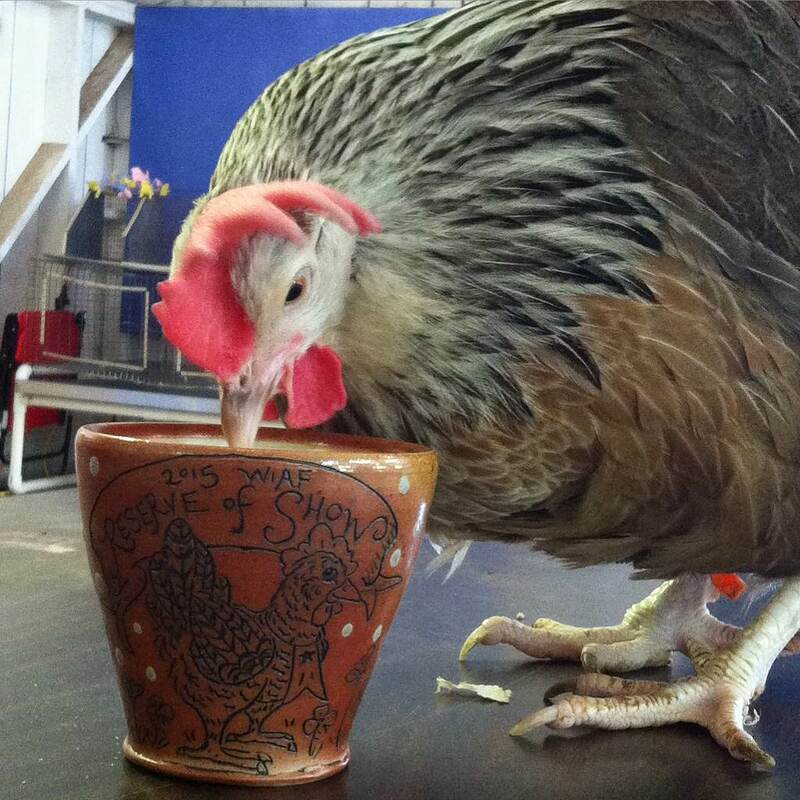 My favourite part was being able to go meet the winning chickens when I went to the fair. They were all gorgeous chickens. I hope each winner enjoyed their handmade cup trophy!